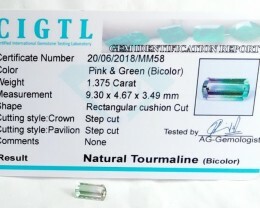 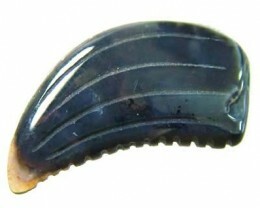 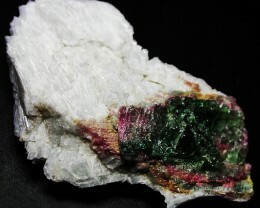 This is a natural untreated specimen of a Tourmaline with two colours to gether. 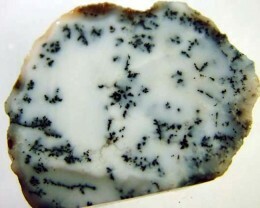 It is on its natural matrix rock and is a intereseting display piece. 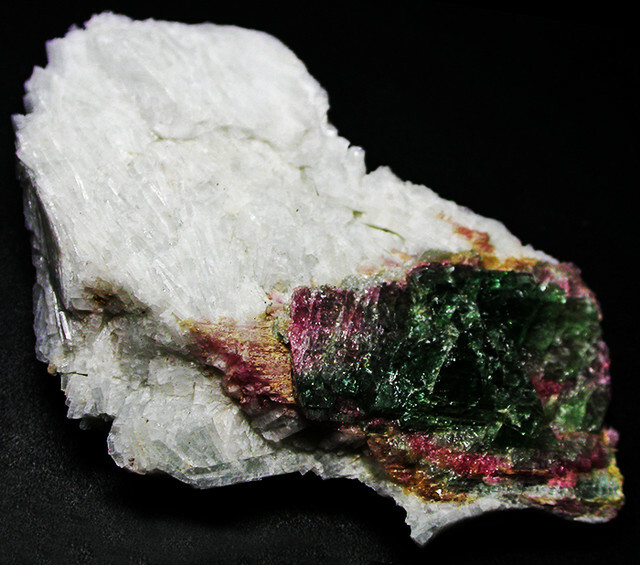 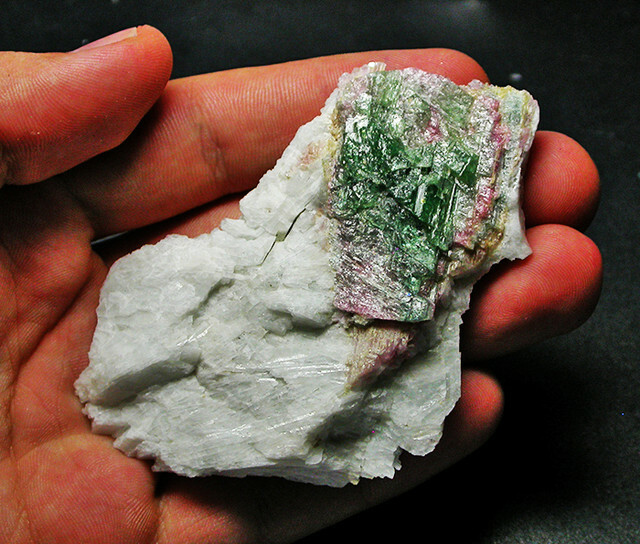 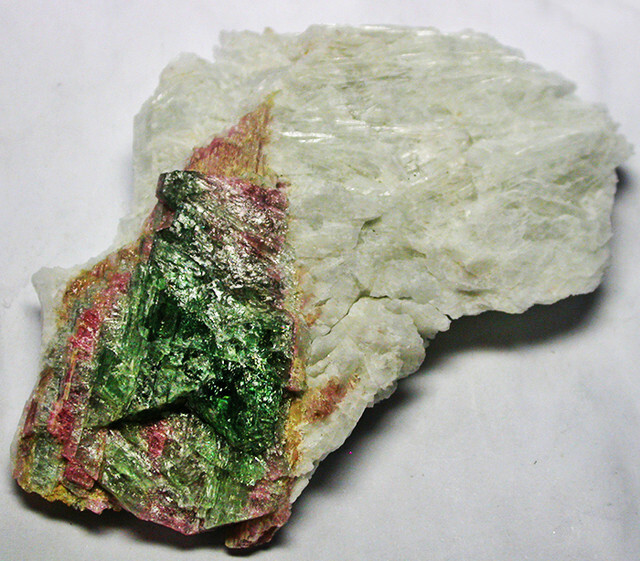 The watermelon tourmaline is a rare variety that displays three different colors in the same crystal - green (the skin of the watermelon), pink (the sweet fruit) and white (the rind). 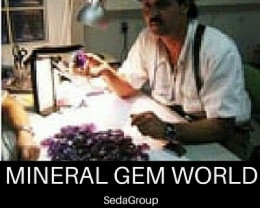 As in the gem stone ametrine, the colors of the watermelon tourmaline occur 100% naturally. 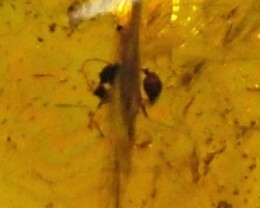 This is a rare occurence in nature.